Noble Gases are used as a term in Periodic Chemistry when classifying the chemical elements. Each element can usually be classified as a metal or a non-metal based on their general Chemical and Physical Properties. The 6 elements classified as "Noble Gases" are located in Group 18 of the Periodic Table. 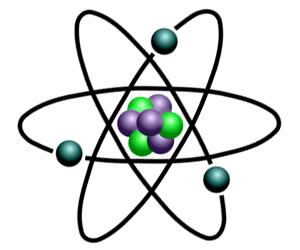 Because the outermost electron shell of atoms of these gases is full, they do not react chemically with other substances except under certain special conditions. Noble Gases are also known as the inert gases. The noble gases are not reactive. This is because they have little tendency to gain or lose electrons. The elements categorised as Noble Gases are used to make lighted signs, refrigerants, and lasers. The term 'Noble gas' derives from the Old High German word Edelgas from 'edili' meaning "noble". The name 'noble gases' is an allusion to the old, similarly termed 'Noble Metals'. The Noble Metals included Gold, Silver and Platinum. Noble Metals were so called due to their long association with the aristocracy. The common properties of Noble Gases include a complete valence shell. They have high ionization energies and very low electro-negativities. Noble gases are fairly non-reactive and have low boiling points. The 6 elements classified as "Noble Gases" are located in Group 18 of the Periodic Table.